cisplatin – What's New in GU? 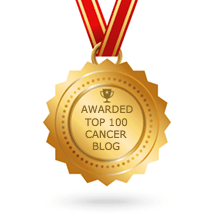 Is Chemo The Best Bladder Cancer Treatment For All? The bladder is a muscular organ made up of several layers of cells. This image outlines the bladder, ureters and surrounding vessels. State-of-the-art cancer care continues to evolve due to advances in all aspects of patient care – including diagnosis, and personalized treatment and management. By incorporating novel diagnostics, systemic therapies, molecular targeted therapies, immunotherapies, and other biotechnological strategies into treatment paradigms, patient outcomes continue to improve along the cancer continuum. For patients with bladder cancer and other urothelial cancers (cancers of the bladder, renal pelvis and ureter), cisplatin-based chemotherapy remains the standard of care. This is based on decades of research through a series of randomized clinical trials showing that chemotherapy regimens containing cisplatin consistently lead to the best overall survival rates. Importantly, some patients with metastatic urothelial cancer who are treated with cisplatin-based regimens are cured. However, cisplatin is hard on not just the cancer cells, but the body overall. As a result, not all patients are “fit” for cisplatin. There are standard criteria that are used to define patients for whom cisplatin is not a viable treatment option. These include kidney (renal) function as measured by a blood test and sometimes urine tests, performance status (a measure of how physically functional patients are), hearing loss, nerve damage (neuropathy/numbness), and heart failure. Some of the time, there may be trade-offs. For instance, some patients would trade off the risk of needing a hearing aid for a higher chance of tumor shrinkage (or even cure). While it is well-known among physicians that not all bladder cancer patients are candidates for this treatment option, questions linger regarding what the best treatment option should be for these patients. To get to the bottom of this question, we reviewed the scientific evidence and Dr. Scott Tagawa recently presented our findings to a large group at the 34th annual Chemotherapy Foundation Symposium (CFS). This conference brought together over 2,000 cancer care clinicians across a multidisciplinary spectrum to provide updates on the most cutting-edge new agents, ongoing clinical trials and emerging developments in cancer treatment and diagnosis. What did the science show? According to recent data presented at the 2016 European Society of Medical Oncology (ESMO) meeting, the most common alternative treatment regimen for patients who are well enough to tolerate chemotherapy is the combination of carboplatin and gemcitabine chemotherapies. This was based on the review of data from 1426 patients with advanced urothelial carcinoma who were treated with chemotherapy. Interestingly, there were some other global trends in the types of chemo prescribed. Centers that treated fewer patients with urothelial cancers were more likely to give alternative (non-cisplatin) chemotherapy to patients that did not meet any standard criteria for being unfit. The most common reason for being deemed unfit for cisplatin was the patient’s current level of kidney function. Unfortunately, data showed that patients who were fit for cisplatin, but received alternative chemotherapy lived much shorter than those who received cisplatin, and none of those patients in the study were alive at the 5-year mark. One setting where cisplatin-based chemotherapy is very important is in the pre-operative setting where the goal is cure rather than just prolongation of life by months to years. Physicians should be aware of some “tricks of the trade” to optimize kidney function and other parameters to maximize the chance for cisplatin administration and cure. For patients, it’s important to consider at least getting a consultation at a center of excellence before making a treatment decision. We also recently wrote an editorial in The Lancet outlining the value of immunotherapy for patients with advanced urothelial cancers who are unfit for cisplatin, and in particular checkpoint inhibitor immunotherapy. While not currently FDA-approved for this indication, a study using atezolizumab (Tecentriq) was published in this prestigious journal with a second supportive study utilizing pembrolizumab (Keytruda) presented at the ESMO meeting in October. Both studies used monoclonal antibodies that enable the immune system to become activated and fight cancer, and both demonstrated substantial responses in a subset of patients. Studies of the tumor and surrounding tissue testing for PDL1 expression are able to predict those with a higher likelihood of response, but even those with “negative” testing can respond. Tests of tumor genomics are also able to group tumors into those with a higher likelihood of response, but again, even those in the lower immune responding group can have a long-term response to immune treatment. Ongoing studies are needed to help predict response in a more powerful manner. One issue that we’ve recently examined is the difference in tumor genomics before and after chemotherapy highlighted by Dr. Faltas’ high-impact publication on the clonal evolution of urothelial cancer. Among other things, this highlights the importance of obtaining recent tissue from metastatic sites to gain the most accurate understanding of an individual patient’s tumor biology. In summary, it is important for physicians to recognize when a patient may or may not safely receive certain chemotherapy regimens, such as cisplatin combinations in the case of urothelial carcinoma. In addition, research is ongoing for patients that are unfit for certain types of chemotherapy to prove whether or not immunotherapy should be used in patients who have not yet received chemotherapy. Several immunotherapy drugs are currently being tested in randomized clinical trials and these include patients that are unfit for cisplatin. Additionally, other drugs such as antibody-drug conjugates or monoclonal antibodies have shown promising activity in patients with advanced urothelial carcinoma, and these studies included patients unfit for cisplatin. Author lindseyhemoncPosted on December 28, 2016 Categories Bladder Cancer, Genitourinary Cancer, Research, Research PublicationsTags Bladder Cancer, Cancer Treatment, chemotherapy, cisplatin, News, Research, Urothelial CancerLeave a comment on Is Chemo The Best Bladder Cancer Treatment For All?